In 2005, Cristian traveled to Mexico where he had the opportunity to play with the best musicians of the local scene like Tyler Mitchel, Gabriel Hernandez and Alex Kautz. 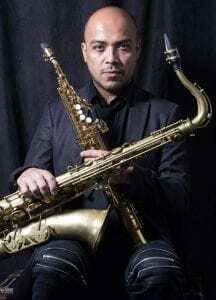 In 2007, Cristian had the opportunity to play with the first Latin America Jazz ensemble at the IAJE conference in Toronto Canada 2008 (Latin America Jazz ensemble). He has played at the IAJE Jazz fest … 2007 Toronto Canada, Jazzuv 2008 Xalapa Mex, International Jazz Puebla 2010, San Miguel de Allende Jazz Fest 2011, Book Fair City Mexico2014, Cordoba Jazz Fest 2015, Film festival Chiapas 2015, International Festival of Jazz Punta Arenas 2015, International Jazzatlan Jazz Fest 2015 and played with incredible musicians like Willie Colon , John Benitez, Diego Obregon, Ari Hoenig, Hans Glawishnig, Mike Moreno , Peter Slavov, Alex Kautz , Giovanni Figueroa, Gabriel Puentes, Gabriel Henandez , Tyler Mitchel, Arturo Sandoval, Ricky Rodriguez , Samuel Torres , Axel Tosca , Gregory Ryan, Benito Gonzalez , Guillermo Vadala , J Morelli Luri Molina , Diego Marotto.